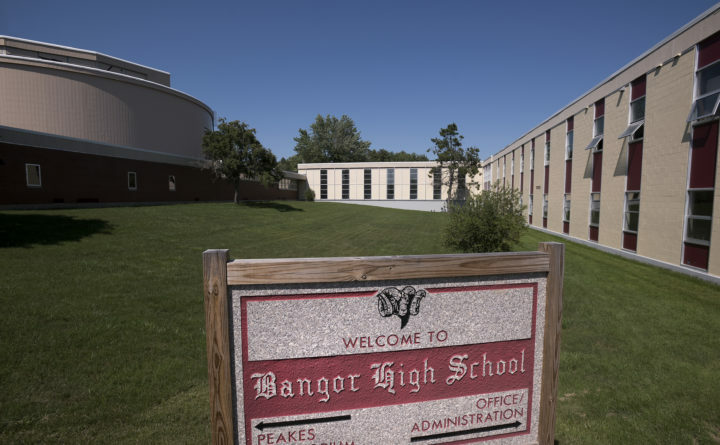 The Bangor School Department will hire an attendance specialist in August using federal grant money from a program that’s designed to keep kids in school and off drugs. The school department and Bangor Public Health and Community Services will receive $49,791 a year for the next three years through the Substance Abuse and Mental Health Services Administration’s Comprehension and Addiction Recovery Act grant. About $45,000 will pay for the district to hire the specialist, who will visit chronically absent students’ families, establish relationships, and set up attendance schedules and support services. Those tasks now are shared among several district officials including school principals and guidance counselors. The city’s health department will use the remaining $5,000 to hire an evaluator who will collect data on middle and high school students. The data collection will question students’ use of prescription drugs in the last 30 days, whether they perceive risk or harm from prescription drugs, and how they perceive their parents’ and peers’ feelings about prescription drugs, said Jamie Comstock, health promotion manager for the city. Pointing to data that links chronic absenteeism with an increased likelihood of teen substance and potential opioid use, Webb and Comstock said they hope the grant will allow them to lower the district’s absenteeism rate and gain insight into how teenagers view and understand the risks of opioid use. “The more we can share the importance of attending school, we have a greater chance of establishing skills necessary to get them involved in healthy activities and avoid experimenting with opioids,” Webb said. A Maine Department of Education study released earlier this year showed that 30,000 students are considered chronically absent, or 16 percent of Maine’s student population. If a student misses more than a half day in Maine, they’re considered absent. Typically student absences are deemed chronic if they miss more than 18 days in a 175-day school year. Bangor schools boast an average daily attendance rate of 94 percent, but of the students who are absent, more than 19 percent of them are considered chronic. Standalone chronic absentee rates at Bangor High School and James F. Doughty School surpass 28 percent, and Downeast Elementary School tops 18 percent, according to Maine Department of Education data. This is, in part, due to inconsistencies in reporting absences across the state, Webb said. For example, even if a Bangor student is on a school-related field trip and out of the classroom, they’re still counted as absent. Students who are habitually absent, even at a young age, are disadvantaged in most ways, research shows. “We’re really struggling to have them feel connected,” Webb said. When students feel disconnected from their structured school environment, they’re less likely to test at the level of their peers, and run an increased risk of failing classes and dropping out. Those students also are less likely to develop social skills and healthy habits in their personal lives, and are more prone to engage in substance use or abuse, Webb said. Last year, nearly 10 percent of high school students and about 4 percent of middle school students in Penobscot County admitted to taking a prescription drug at least once in their lives without a doctor’s permission, and 5 percent said they’d done so in the past month, according to a Maine Integrated Youth Health Survey. Nearly 3 percent of high school students admitted to using heroin, and about 2.5 percent said they had ingested a methamphetamine. Opioid use among adults accounted for the majority of the 418 fatal overdoses in Maine last year. Penobscot County had the third highest number of deaths at 65. Webb and Comstock said they don’t know of any students in the district who use opioids, but undoubtedly there are and will be.